'Hitless Wonder': On Tour With A Band Of Also-Rans Most people have never heard of Watershed, but the Columbus, Ohio, rock band has been doggedly touring and recording for a quarter-century. A new memoir by founding member Joe Oestreich profiles a life on the road, powered more by passion than optimism. Barring a massive shake-up of the Billboard charts — and American tastes — "Little Mistakes" will not be the song of the summer. But that's not for lack of trying. The song is the lead single off Brick and Mortar, the latest album by Watershed — a band from Columbus, Ohio, that most people have never heard of. But they have been playing dingy bars, tiny clubs and even the occasional arena for 27 years. 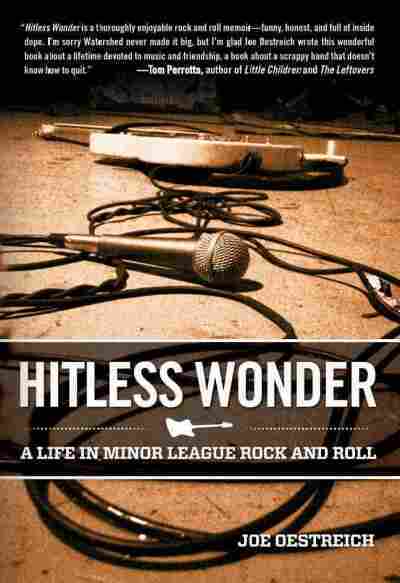 That career has inspired a new memoir called Hitless Wonder: A Life in Minor League Rock and Roll, written by one of the band's founders, Joe Oestreich. When Watershed headlined a concert at DC9 — a bar and club in Washington, D.C. — this June, the band's six members and road team pulled up in one white Ford van. Since Watershed operates on a shoestring, its members handle everything on their own. But after years on the road and a couple of major surgeries, not everyone can lift the heavy drums and amps. 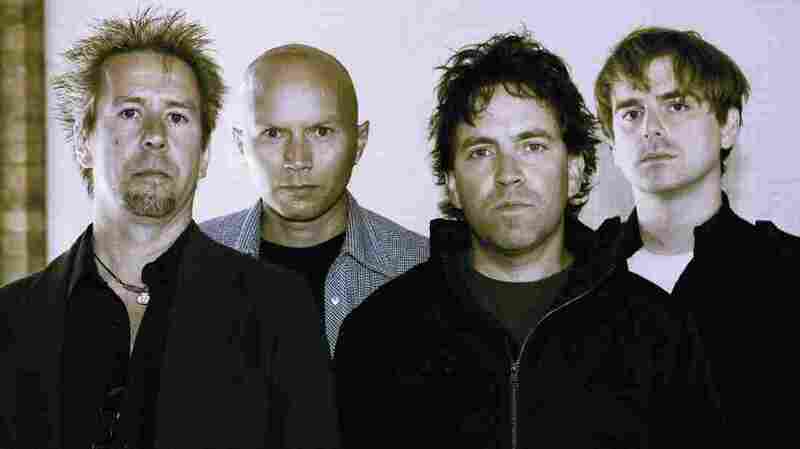 "At this point in our band, Dave, our drummer, has [had] major back surgery. [Guitarist and keyboardist Joe] Peppercorn's had major back surgery. So it kind of limits who can carry," says Colin Gawel, the lead guitarist and other founder of the band. "And out of a six-member band, two of us are rocking canes on the tour, just in case," adds Ricki Cacchione, one of the band's roadies who's turning 60 years old on the monthlong tour. No one in the band is under 30; its two founding members are in their 40s. Most have kids and day jobs back home. Oestreich, the book's author, plays bass and sings. He also parks the van. "Parking on the streets of D.C., we're hoping to get a meter because we would only have to pay for the meter for the next 10 minutes," Oestreich says. "If that doesn't work, we're going to have to pay $20 to park in a lot. Some of our gigs on this tour, we haven't even made $20." Because the band runs on such tight margins, its members have to be extra careful about their equipment. "These are the chains that we're going to use to chain all the doors together in the front seat, with the steering wheel, so that if somebody gets in, hopefully — unless they brought bolt cutters — they won't be able to get the steering wheel to move or the two front doors to open," Oestreich says. The band got together when Gawel and Oestreich were teenagers in Columbus. Their take on power-pop had a brief run at success in the early '90s. At one point, they had a record deal with Epic, but that fell apart when their album tanked. The band kept going, though. It kept touring and releasing albums long after it stopped being profitable. Watershed's dedication has not rewarded its members with paychecks and fame, but they do have their superfans. "The Reverend" Todd Baker drove 2 1/2 hours from Harrisburg, Pa., to see the show — and, no, he's not really a reverend. "Well, it's not really official," Baker says about his title. "It's for comedy purposes, you know." Baker is an aspiring comedian. He's unemployed. But this superfan was willing to put on a Watershed concert T-shirt from 1994 and spend the gas money to see the band at least one more time. "I've probably seen Watershed 100 times in the last 20-some years," Baker says. "They're my best friends, the greatest rock-and-roll band in all of America. And I wouldn't miss this for the world." By 10 p.m., the show is about to start. A few fans and old high school acquaintances stand close to the bar, but the room is mostly empty. It's not silent, though. Baker calls out the band's name in hopes of bringing them to the stage a bit earlier. After the show, Gawel and Oestreich share their take on the evening. They're happy — though realistic. "It was a success by every measure except the one that is most commonly used to measure success," Oestreich says. "I mean, there were probably 25 people there, and they really seemed to like our songs, and there were superfans singing along with every word, and the band played great, and the soundman had us sounding good and it was really fun — and we made $37." Despite the low pay and the time spent far from his family, Oestreich says touring with Watershed is hard to give up. "I've got a 2 1/2-year-old son and a 3-month-old daughter, and my wife is at home with both of them, single parenting, right now," he says. "On the one hand, everyone says, 'Follow your dream,' and we're doing that, but is that in fact admirable? Some days it seems kind of pathetic. Maybe we should just pack it in and go home, but, at this point, I think it's just too late. This is what we do." Besides, Gawel adds, "If you love what you're doing, and you still feel passionate about it, why would you stop?" After D.C., the band heads to Pittsburgh, Ohio and then, finally, Chicago — that's where Watershed will play the final show of the tour Sunday night. Then they'll leave the van, get back to their families and dream of their next tour.